Long live the days of heaters sucking the moisture from … everywhere. 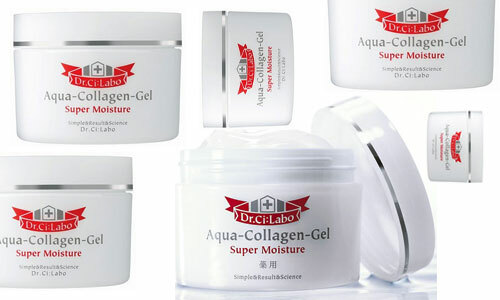 If the people at Dr.Ci Labo hadn’t already named this product, I would call it Water BOMB (actually called Aqua-Collagen-Gel Super Moisture EX). It is pure moisturizing goodness. It feels like heaven as it sits and slowly absorbs into the surface of your skin. In just one cherry size dollop (at night) or two pea sized ones (in the AM) this one gel is actually all of these things… toner, milky lotion, beauty essence, brightening essence and primer. Yes definition “All in One”. The secret to looking young, healthy, and indefinitely refreshed all lies in the moisture. And it can’t get much moister than this (and we mean that in a good way).